I thought I would share some of my favorite Pins with you! This months top 3 Pinterest links are filled with fun activities to do with the kids. There is so much going on this month! Let’s jump right in! My first pick is this super cute Dr Seuss themed reading corner. What I love most is that you can keep it up all year long but it works great for a library corner during Reading Week! You could use a different reading quote he has so many that is for sure! 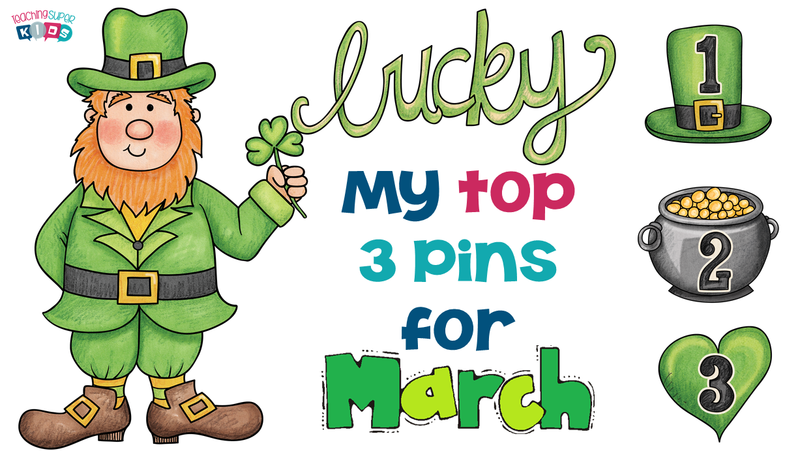 I love this site she has so many fun ideas that you can incorporate into your St. Patrick’s Day activities. I have so many fond memories of making Leprechaun traps with my kids! We use to have a naughty little leprechaun that would visit our classroom while we were at lunch and just make the biggest mess. The kids always had such a good time! My last pick is a super cute rainbow craft project. What I love most about this is that all of the items are easy to find and who doesn’t need a snack or two lol! Kids will have a blast making these and you can even have the kids count the pieces of cereal for each color they make! They could make a graph as well. I hope you enjoyed reading about my Pinterest top 3 pins. Lots of great pins! I love the Leprechaun trap! I love the Easter eggs idea. I have seen a similar idea just for number recognition, but I love the idea of putting equations on the eggs to match with the answer. It makes it great for older students too! !